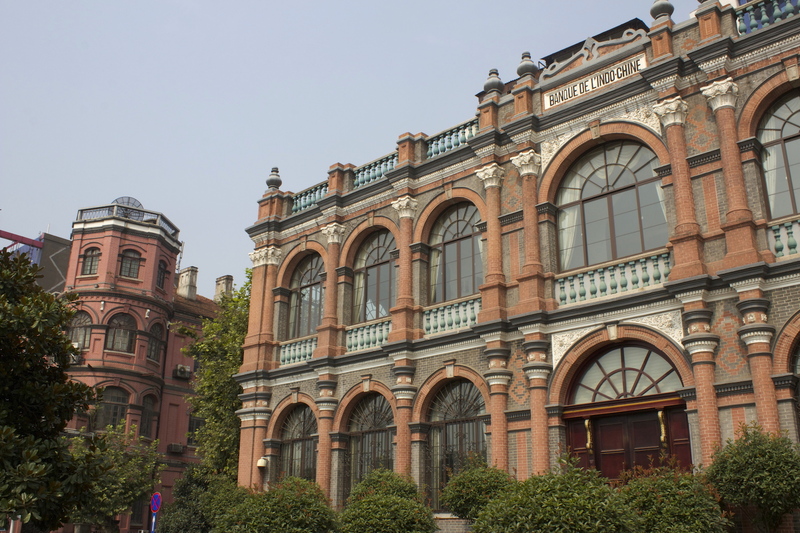 The Hankow Customs House (1922) marks the beginning of the Hankow Bund. In considering the major colonial treaty port cities of China, Hankow 漢口is often forgotten. Understandably so, as it simply isn’t as famous today as the likes of Shanghai, Tianjin and Xiamen. Also, Hankow itself is subsumed into the city of Wuhan 武漢 – actually a tri-city made up of the cities of Hankow, Wuchang 武昌 and Hanyang 漢陽. But in its time, Hankow was a very important treaty port by virtue of it sitting, not on the East coast of China, as did the other treaty ports; but along the banks of the Yangtze River – the major artery for trade in tea, porcelain and silk. 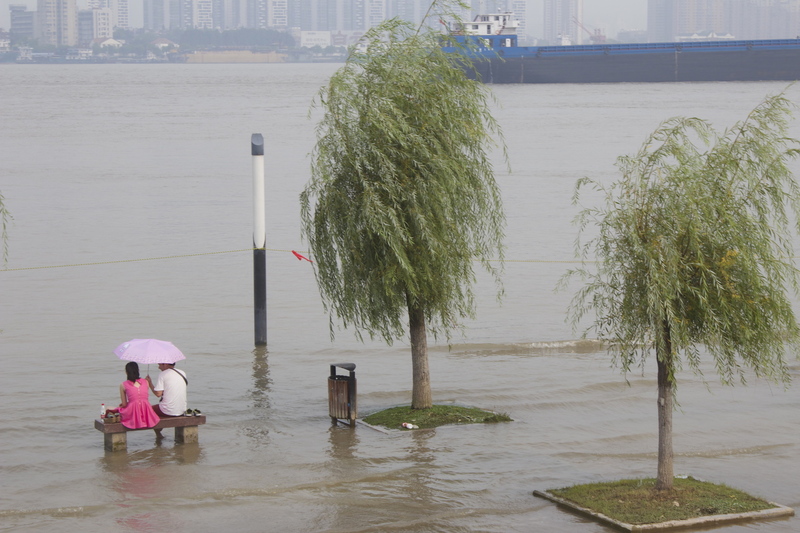 It was China’s most important inland riverine port. 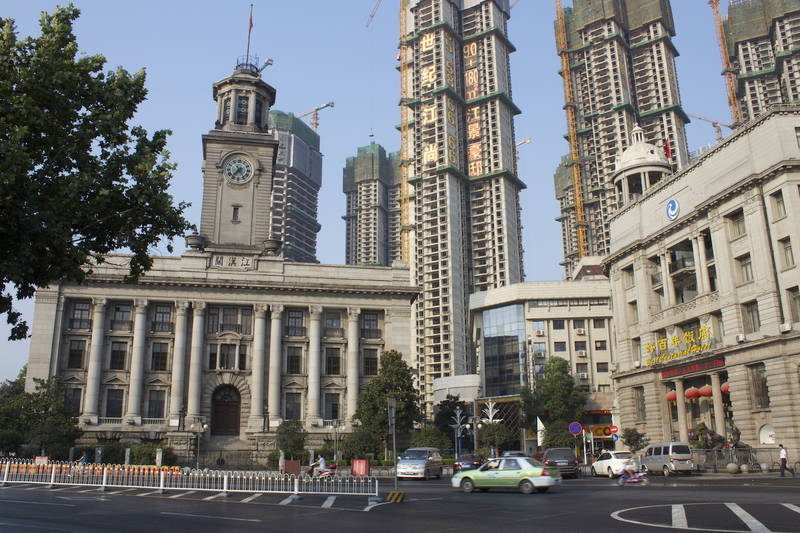 It was also a relatively large city, with five foreign concessions, and a Hankow Bund that, at 4 km in expanse, was (and still is) double the length of the Shanghai Bund (about 2 km, including the French Concession’s waterfront)! 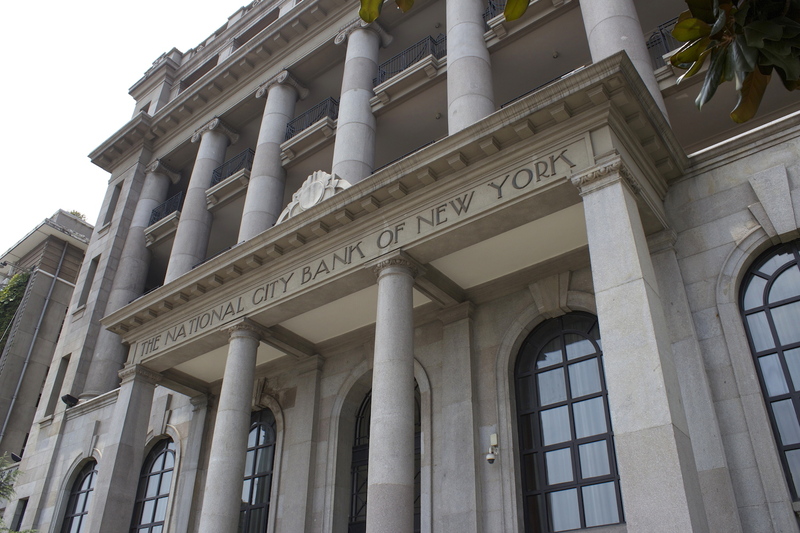 The Hankow Headquarters of the City Bank of New York (1921 – the forerunner to today’s Citibank), sitting on the British Bund. 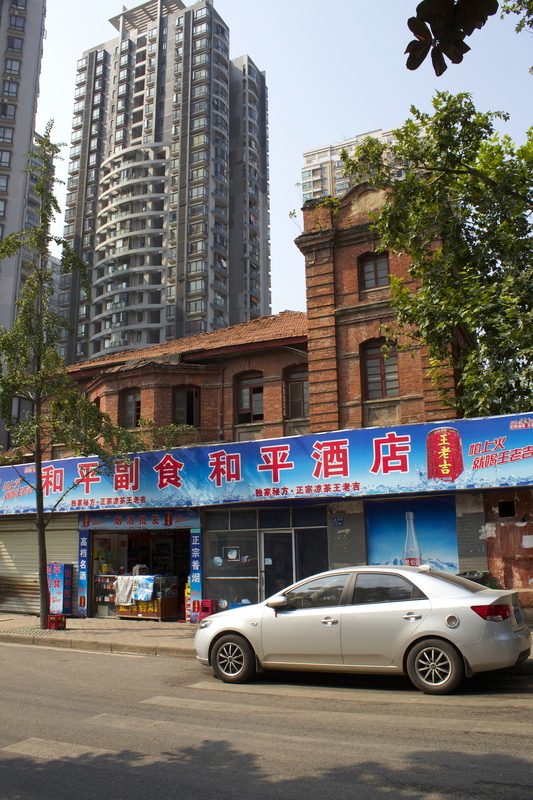 The Banque de L’Indochine (1901) and the American Consulate (1905 – in the background) sit along the French Bund, and are amongst the oldest buildings in the Concession area. 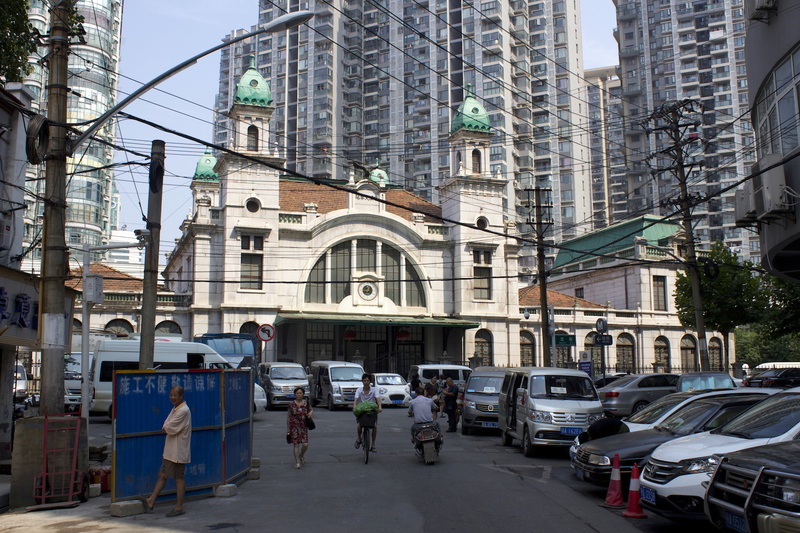 The former Dazhimen Station (1903) was the terminus of the Beijing-Hankow Railway. 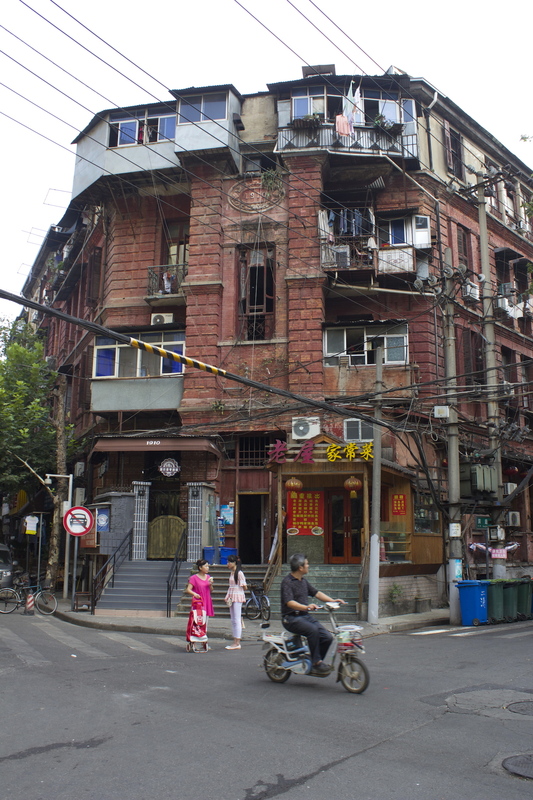 It sits just to the north of the French Concession. 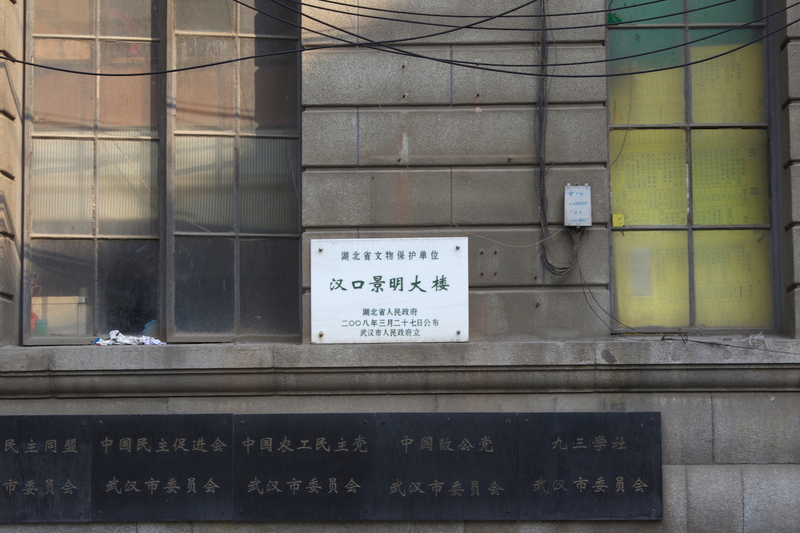 Plaques such as these are ubiquitous in the former Hankou area and mark out buildings of historical significance. Hankow was part of a second wave of Treaty Ports established in 1860 in the aftermath of the first part of the Second Opium War, and by way of the Treaties of Tientsin signed between China and various European powers (which were subsequently included in a larger collection of treaties and agreements signed and ratified by the Chinese and broadly known as the Convention of Peking). Under the auspices of the treaty, foreigners were allowed to establish Legations, or Embassies, in the Manchu capital of Peking 北京; foreign ships would be allowed to trade along the Yangtze River; and eleven more treaty ports were opened up to foreign trade. These eleven treaty ports included Neuchwang 牛莊, Yantai 煙臺, Tainan 台南, Tamsui 淡水 (being two ports in Taiwan), Swatow 汕頭, Haikou 海口, Nanking 南京, Zhenjiang 鎮江, Hankow 漢口, Jiujiang 九江 (being four ports along the Yangtze River) and Tientsin 天津 itself. Hankow was the innermost treaty port along the Yangze River, and the largest foreign settlement. It has five foreign concessions – British (the largest concession), Russian, French, German and Japanese – all of which had water-frontage. Unlike in Shanghai, the Concessions proper were concentrated along a relatively narrow strip of land along the river, which extended back a mere 500-700 metres depending on which concession you were in. Many of the Concession-era buildings are still in existence today, and not a few are being restored to their former glory. The concentration of buildings near or along the waterfront makes for a relatively easy exploration of Hankow; but be prepared – that Bund makes for one hell of a long walk. By the 1920s, almost all the foreign concessions had been returned to the Chinese – the Germans in the aftermath of World War I in 1917; the Russians when the Bolsheviks took control of Russia in 1920; the British in 1929, when Sun Yat Sen’s Revolutionary forces – incidentally, initiated across the water in Wuchang – occupied the territory. 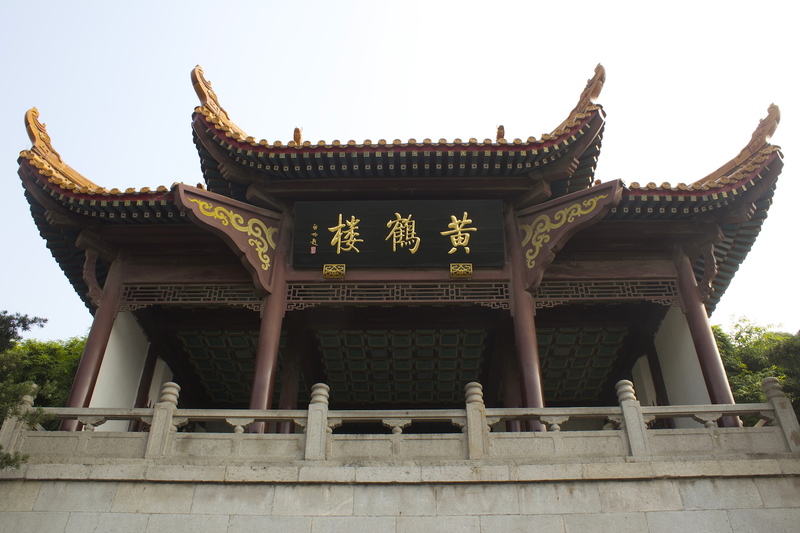 Hankow’s sister city, Wuchang dates back to the Han Dynasty (200 A.D.), and feature prominently in China’s long history. 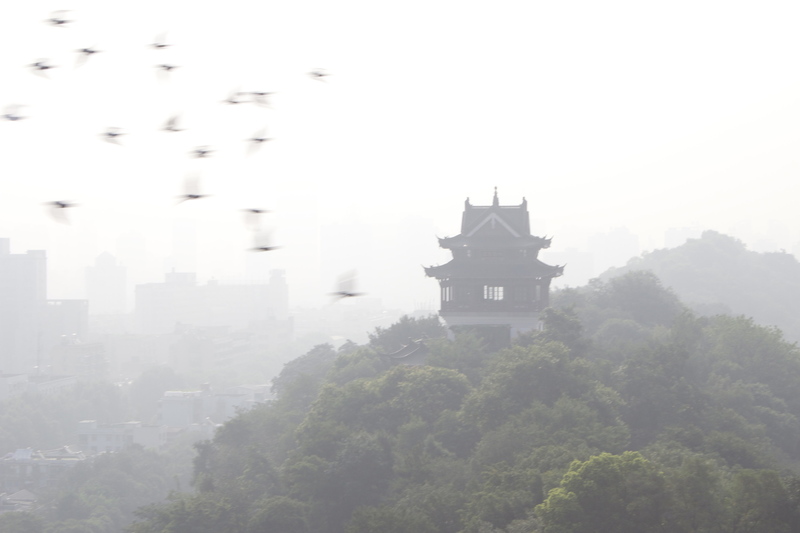 Wuchang is known for the Yellow Crane Tower 黃鶴樓. First built in 223 A.D. and successfully rebuilt, it is one of China’s four great towers, featuring in Chinese literature across the ages. 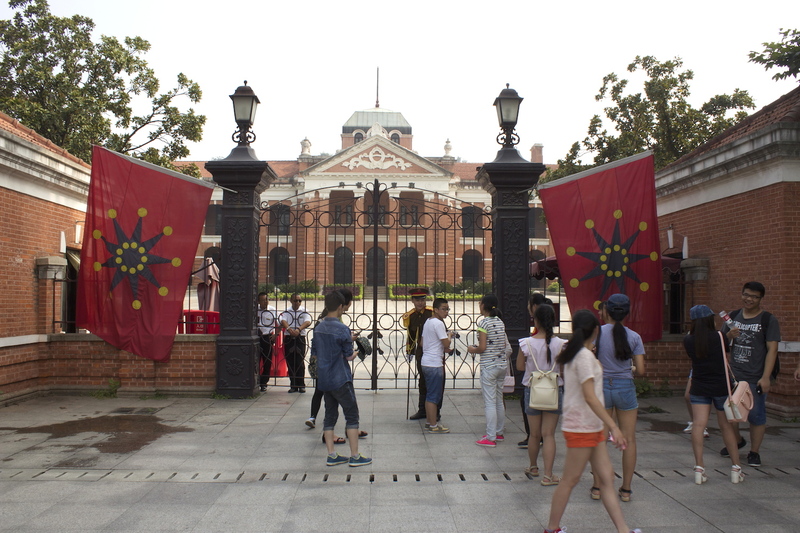 The Memorial Hall of the Wuchang Uprising in 1911 Revolution 辛亥革命博物館 was built in 1910 by the Qing Government. The very next year, it became the epicentre of the 1911 Revolution that overthrew the Qing Dynasty. This left only the French and Japanese Concessions, which remained till the end of World War II in 1946. 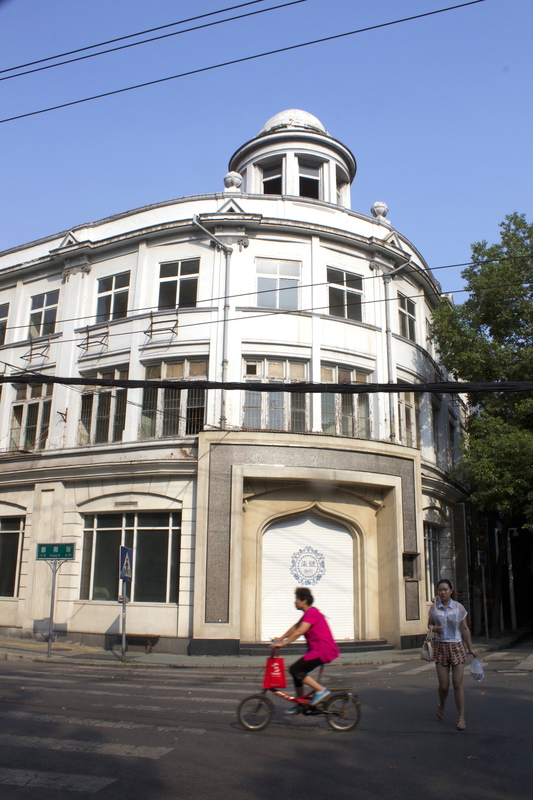 The early relinquishing of the concession by the British, French and Germans; and the ensuing isolation of the French Concession, is probably one reason why Hankow remains somewhat obscure today, except for history aficionados. One can only hope that the comprehensive restoration of the city’s architectural heritage brings foreign / European visitors back to witness what they had put there in the first place. 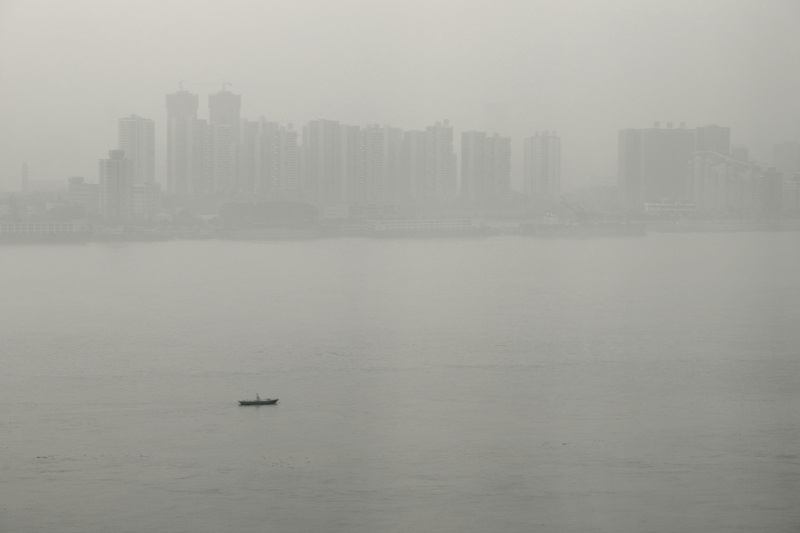 In the meantime, everyday life ensues in the streets, alleys and around the many remaining buildings in the city; and along the Yangtze River waterfront, where an annual flooding of the low-lying riverside promenade creates a space for the people to gather, play and contemplate their past, present and future. 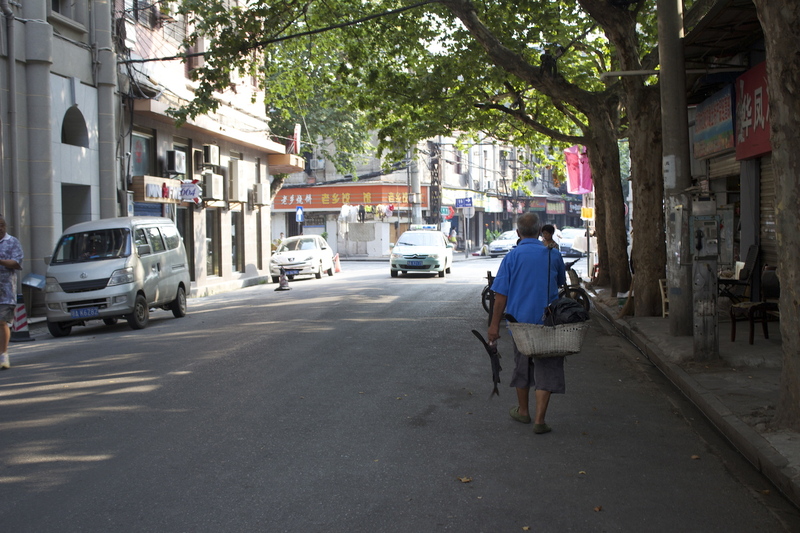 An old fisherman walks down the street hawking a live paddlefish from the Yangtze River. Neighbours gossiping in front of a building in the Russian Concession. A lady cycles past a building at the intersection of the Russian and French concessions. Young girls walking down Jianghan Pedestrian Street in the British Concession – the city’s foremost shopping strip, then and now. 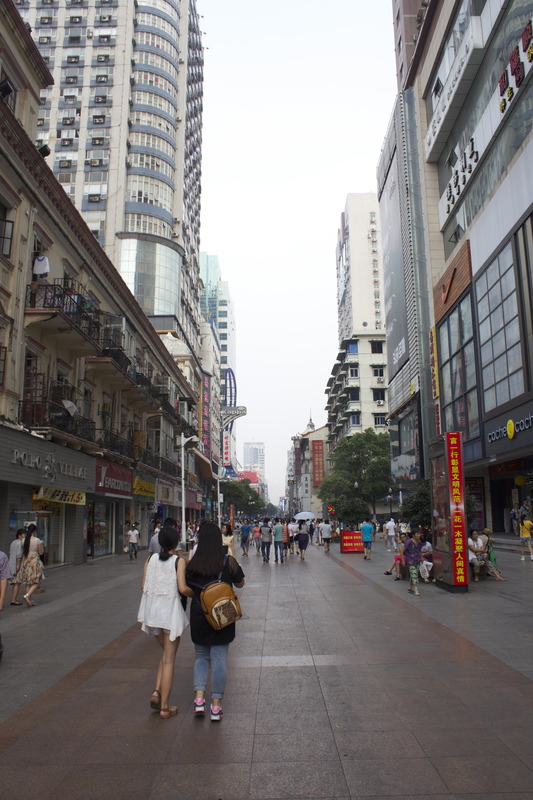 It is the equivalent of Nanking Road in Shanghai. 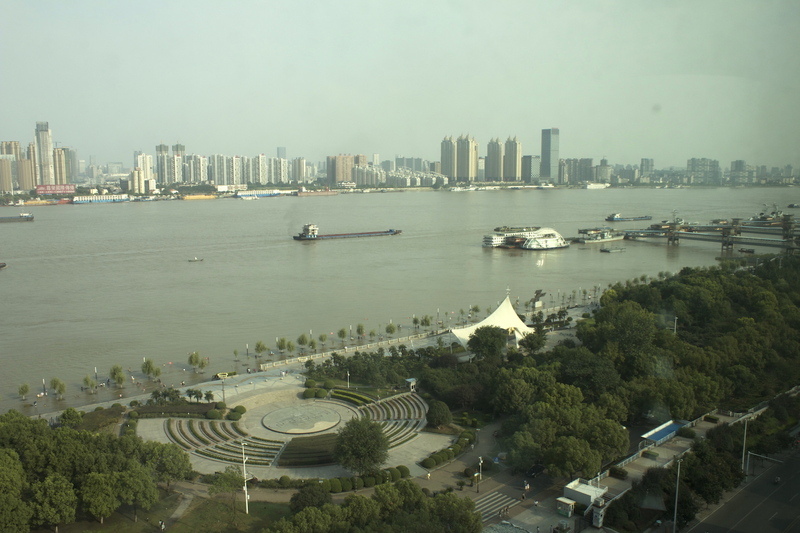 View of the Yangtze River from my room at the Marco Polo Wuhan. 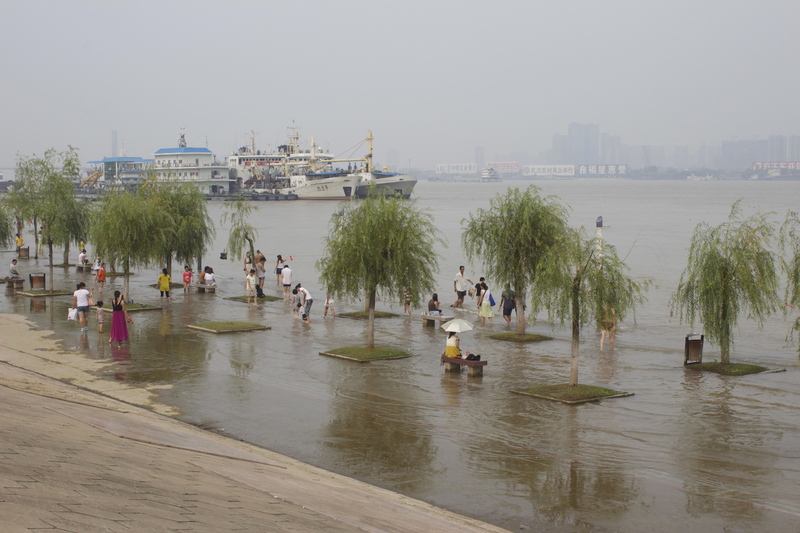 Locals playing in the flooded river-side promenade. A young couple spending a moment alone. Gallery | This entry was posted in Art & Architecture, China, Cities & Regions, Culture & Lifestyle, Landmarks & History, Photography, Travel & Mobility and tagged China, Hankou, Hankow, The Grand Tour, The Grand Tour of the Far East, Treaty of Tientsin, Treaty Port, Wuhab, 漢口，武漢. Bookmark the permalink.